Something that’s been frustrating Call of Duty: Black Ops 4 players since the game launched has been its sluggish multiplayer tickrates – instead of a responsive per-frame 60hz, Black Ops 4’s servers have been capped at a 1-in-3 frame 20hz rate, resulting in less responsive controls. That cap seems to have been raised – but only for some modes, and those don’t include the game’s battle royale mode, Blackout. Treyarch responded last week to complaints about the low tickrate in Black Ops 4 multiplayer, explaining that the 20hz cap was used to make sure servers stayed up and working when the game launched. Higher tickrate means better responsiveness, but it also places more load on game servers, and having them under too much strain also impacts performance. Now, redditors are reporting that they’re seeing tickrates of up to 62hz in multiplayer, but that so far, Blackout still seems to be capped at 20hz. Late yesterday, redditor zVitiate posted a set of graphs they had generated tracking download and upload speeds while playing Black Ops 4 multiplayer in several modes. You can see the PC results in this imgur gallery. It’s not uncommon for battle royale games to use tickrate caps, and as users in the thread point out, sometimes these rates will increase as players are eliminated from a round – the server can devote more horsepower to each individual player as the total number of players decreases. But that doesn’t seem to be happening in Blackout, at least not yet. Black Ops 4 has been out for just over two weeks, so it’s still in the midst of the launch player spike. 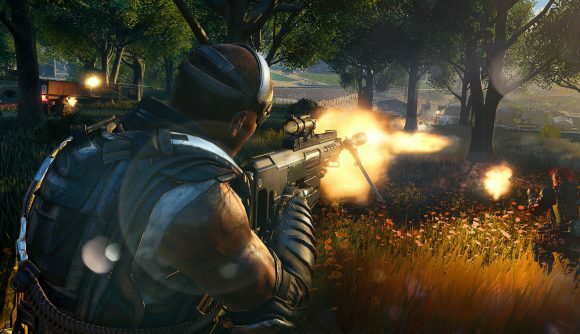 As the player count normalizes, it’s possible we’ll see speedier tickrates in Blackout. For now, though, we’ll just have to deal with a bit of input lag.